One thing developer Blizzard is known for is taking its sweet time on projects, adapting an “it’s ready when it’s ready” mentality that has given gamers excruciating waits in exchange for a robust, polished product when they finally do release (early Diablo III server woes notwithstanding). Now, several months after the release of Diablo III and a short time before the console release of the game, Blizzard has started teasing the expansion pack for the dungeon crawler. The telling characteristic of this teaser page (besides, of course, both “D3” and “Reaper of Souls” being in the address bar) is the Diablo III font saying, “Death, at last, shall spread its wings over all.” What could this entry from the Book of Tyrael mean? It’s likely the Archangel of Justice turned Aspect of Wisdom will factor heavily into the game. 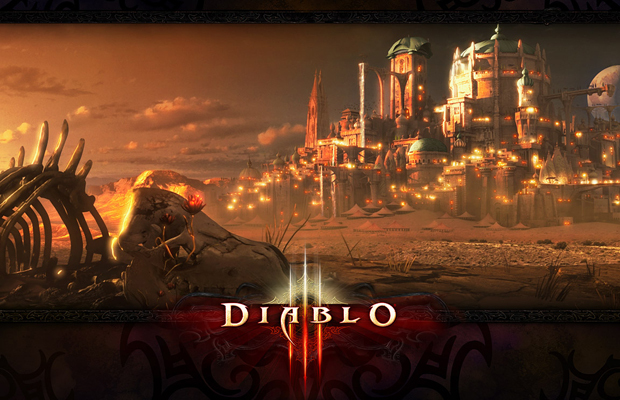 Diablo himself is “dead” as of Diablo III. Will Reaper of Souls feature an Angel of Death? The quote seems to suggest a dark tone and perhaps another trip to hell, but all we can do at this point is speculate. Share your ideas in the comments below, and find us on Facebook and Twitter!